The Global Engineering Education Exchange (GE3) is an international exchange program for all Engineering and Computing and Informatics majors. The program allows Drexel students to study in one of several countries, fully immersed into the education, culture and daily life of their host country. Universite Technologique de Troyes (UTT) is located in Troyes, medieval town, 90 minutes away from Paris, in the heart of the Champagne region. UTT's core missions are to conduct research, deliver education & training and facilitate technology transfer. UTT is today one of the largest engineering schools in France with over 2,500 students. This is a fantastic opportunity to perfect your French language skills, make new friends and explore your academic interests from a French perspective. For more information on the GE3 program options in France visit: http://www.iie.org/programs/global-e3/. Troyes is a medieval town with rich cultural heritage and an old city center. It is a medium-size lively, friendly city with population of 120,000 including 9,000 students. There are many cultural and musical events happening around the city and with only a 1 and 1/2 hour train ride to Paris, it is easy to visit the capital city for exploration and entertainment. Troyes is situated in close proximity to the extensive Forêt d’Orient natural park and lake (for swimming, boating, etc.) Troyes has 12,000 acres of lakes and 17,000 acres of champagne vineyards, making it a beautiful place to explore the outdoors. Students should review the UTT Course Offerings and then review the UTT Course Catalog for course descriptions. UTT - Course Equivalents are UTT courses that have been previously approved by Drexel. 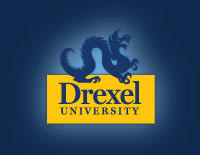 If a student's desired courses are not listed, they must obtain course approved by the corresponding Drexel department. For example, to take a MEM course for Drexel credit, the Mechanical Engineering department must pre-approve the course. While some courses are taught entirely in English, others combine both French and English. In those cases, lectures are given in French (2 hours per week) and tutorials/seminars (2 hours per week) are given in English or the student will receive individual tutoring by the professor. An English bibliography is provided and examinations can be written in English. This method allows students to receive information in both languages and to improve their French language skills while receiving some instruction in English. Students are taught by French faculty at UTT. Grades are noted as credit/no credit (CR/NCR) on their transcript and will NOT affect their Drexel GPA. In order to receive CR students must earn a "C" or above. The goal is to be a full-time student at UTT while also taking the equivalent of 12-20 Drexel credits. A full course load at UTT is approximately 30 ECTS credits per term. Students should prepare to make adjustments and be flexible in fitting this program into their Drexel schedule. Due to the need for co-op cycle adjustments, students should begin planning 12-18 months in advance. *Students must schedule for early final exams at UTT or have final exams proctored at Drexel. UTT assists students in finding accommodation provided students submit the UTT accommodation request form. Accommodation can be found on campus or in town center. This is a Drexel sponsored program, thus your Drexel tuition and financial aid remain the same during the term abroad. Students may also want to submit a revised budget to Drexel Central to see if additional funding may be available.Students who receive Federal Work Study should consider applying for the Study Abroad Online Journalist work study position (only available to students after acceptance). A €5000 Euro UTT Scholarship is awarded to 2 students each year for spring term study abroad! These funds can be used toward airfare, housing, and other living expenses.